Lock in a great price for Cafe Guest House 34 – rated 8.9 by recent guests! 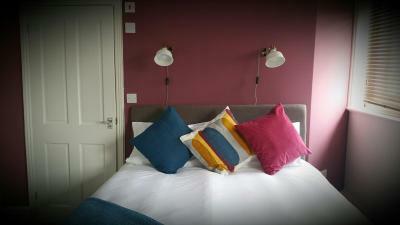 Brilliant place to stay - quirky, very friendly staff, lovely, adequate room and a tasty breakfast! 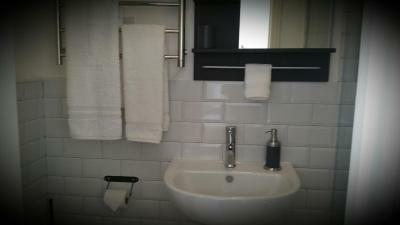 The room was clean and warm and a lovely bathroom with toiletries provided. Didi (hope I’m spelling that correctly) was the perfect host. Great conversations and he makes a great cup of coffee. Exactly what I need first thing in the mornings. The location is in the center of all the little shops and local restaurants I like to visit. 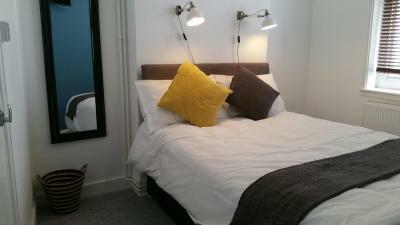 Within a 5 minute walk to the rail or bus station. I will return to visit with my wife I am sure. Friendly, efficient, enthusiastic host and a splendidly comfortable room which was scrupulously clean. I really enjoyed the continental breakfast and generally really rated the establishment highly. We really enjoyed being in the centre of Poole, only a few minutes' walk from Poole Harbour. Particularly enjoyed the walk to Hamworthy Park. The breakfast was really good - the staff were kind enough to provide us with a vegan breakfast, which we really appreciated. 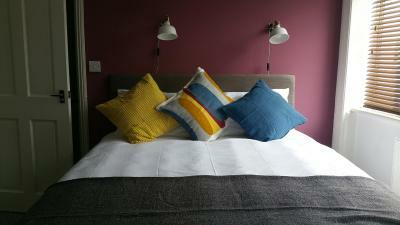 1.2 miles from Poole Harbor, Cafe Guest House 34 is located in Poole and provides rooms with free WiFi. The property is around 5 miles from Sandbanks and 3 miles from Brownsea Island Nature Reserve. The property is 3 miles from Brownsea Castle. All guest rooms in the guesthouse are equipped with an electric tea pot. Each room comes with a flat-screen TV, and certain accommodations at Cafe Guest House 34 have a city view. The rooms include a closet. The daily breakfast offers continental, Full English/Irish or vegetarian options. The Italian Villa is 4 miles from the accommodation, while Poole Magistrates Court is 1.9 miles away. The nearest airport is Bournemouth Airport, 11 miles from the property. 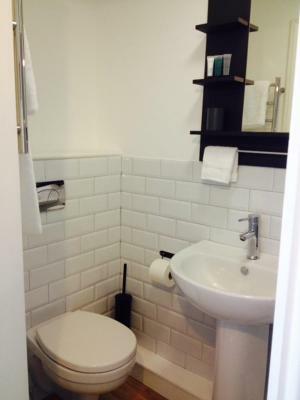 This property is also rated for the best value in Poole! Guests are getting more for their money when compared to other properties in this city. When would you like to stay at Cafe Guest House 34? 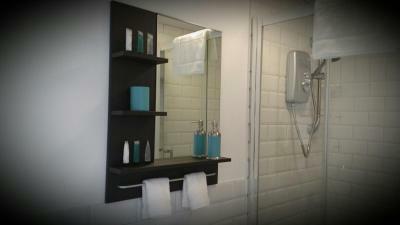 This room has tea/coffee making facilities, a flat-screen TV, free WiFi and an en-suite shower. House Rules Cafe Guest House 34 takes special requests – add in the next step! Cafe Guest House 34 accepts these cards and reserves the right to temporarily hold an amount prior to arrival. Please note that a steep staircase leads to four rooms. There is no elevator. This may not be suitable for guests with limited mobility. Unfortunately, the mattresses in the room weren't comfortable at all. We could feel the springs in our backs while we were sleeping and the mattresses swooped down in the middle so we didn't sleep comfortably. 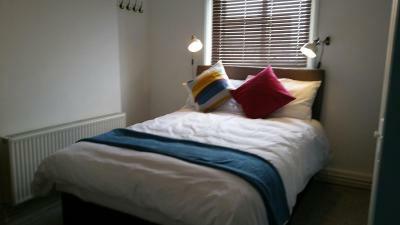 Very central location, spotlessly clean and incredibly comfortable room, and a cosy café on the ground floor. Bathroom needed a little maintenance work, loose toilet seat and loose shower riser. The windows hadn't been cleaned in a long time. Trip hazard due to loose carpet at top of stairs but probably work in progress since rest of stairs were uncarpeted. Excellent service and friendly staff. 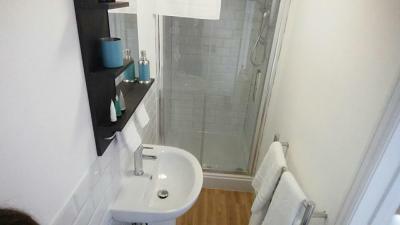 Centrally located in high street, public car parking 2 mins walk away. Nice breakfast. Bed comfortable, although just a double, not king size. Shower door didn't close and room was quite warm. Great hospitality and nice breakfast. Everything, really comfortable I felt at home.